Troubleshooting Laptop Video Problems can be frustrating. It’s not a trivial task to open up a laptop to do anything beyond a memory upgrade or drive replacement. If you feel daring and working with small electronic components doesn’t intimidate you, then there are videos that make the process simpler. Even if you have done this on occasion it can be stressful working on a laptop. There are services that will do this for a flat fee +parts. If parts are too expensive, they may charge you for the diagnostics and shipping. Shipping alone can be considerable. 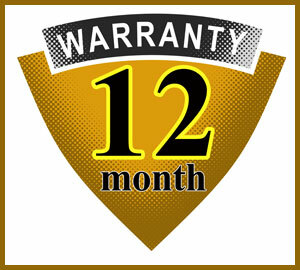 Some places may waive the diagnostic charges if you are willing to part with the defective laptop. Plenty of usable parts for a shop that sells parts or uses them for diagnostics. 2 Is it under warranty? 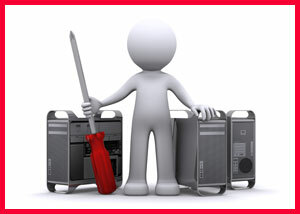 4 Troubleshooting Laptop Video – Finding out what’s wrong. 5 Do we really want to open a laptop for troubleshooting? 7 What could be wrong? 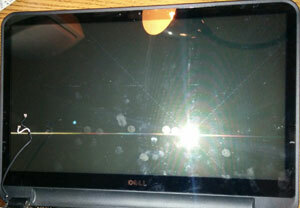 Dell laptop Inspiron 3521 with a Touch Screen was dropped. Thereafter the user complained that the video was dim and difficult to read. Otherwise, the laptop seemed ok. Remote connections to the laptop worked fine. We knew this laptop had been around for a while but it’s always wise to check if it’s under warranty. Our 1st stop was Dell support. As expected it was not under warranty but they also had diagnostics and drivers that we could try. We decided to bring the laptop in for some troubleshooting. No obvious damage was done to the case so we hoped that the issue was a cable was loose. Troubleshooting Laptop Video – Finding out what’s wrong. We knew the video was dim but wasn’t sure why. 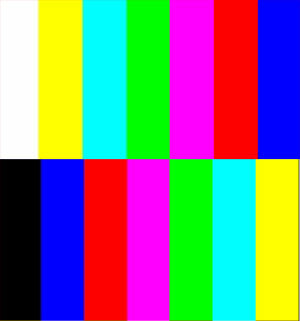 When we viewed the video from a remote connection it became obvious that the colors were reversed. Everything that should have been white was black, everything that should be blue was black. It’s surprising how illegible the video was even when the BIOS screen was displayed. A Dell website was all but invisible since they use a lot of blue & white. Do we really want to open a laptop for troubleshooting? As mentioned above, opening a laptop is not for the faint at heart. It’s tedious work and requires considerable patience and time not to mention keeping track of all sorts of parts and screws. The video below does a good job of detailing the process up to removing the bezel (3:26). 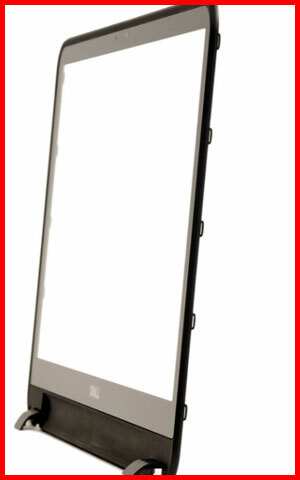 The trouble is that the bezel on our laptop is attached to the digitizer glass. It wasn’t easy but we managed to remove the digitizer glass using low heat on a heat gun and carefully inserting tools between digitizer and laptop case until we could unsnap all the clips. Unfortunately, the cable was not our issue so we probably won’t invest more time and money into this laptop. The general consensus is that the LCD, video cable, system board could be at fault. A shop that has all those parts could determine which were defective. 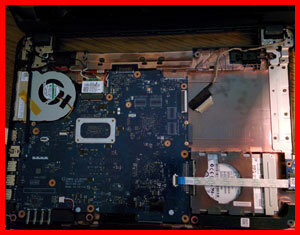 Troubleshooting Laptop Video Problems can take considerable time and still end in frustration. Unless you have known good parts lying around, it probably is not worth the effort to repair a laptop that is around 3 years old. This turned out to be a bad LCD.